Over the last couple of months, Realm became the go-to mobile database solution. 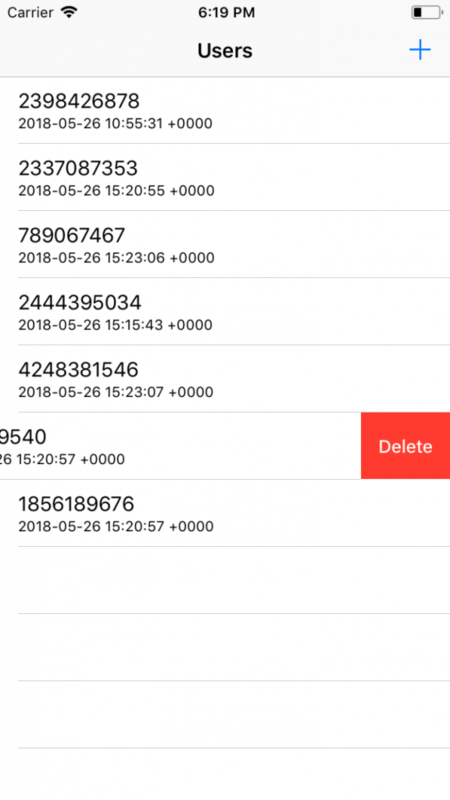 It’s a mobile, offline-first database solution to store your app’s data without the need of working with lower level solutions like SQLite or Core Data. And most importantly: It’s platform independent and works on Android and iOS. But what happens if you want to sync your local database with a remote server which uses a database like MySQL? Since most apps are connected to a backend-service as well, things start to get more complicated. Your app should always work seamlessly without an internet connection but still needs to sync data to a remote server. Realm’s Mobile Platform could be a solution because it syncs the data automatically for you, but you also have to depend on an extra service that costs a lot of money. Today, we will demonstrate a more generic, easier solution by adding an automatic sync service to your app without touching your existing logic. The goal is an easy-to-setup sync service class that manages the complexity of sending your data changes to your REST service automatically when the local database changes. The REST service could then e.g. manifest those changes in a database like MySQL on the server. Which one you choose is up to you. We propose to use Realm’s reactive feature for live updating data objects to build an easy and robust solution. In combination with Swift 4’s addition of `Codable`, we can make our lightweight solution with around 100 lines of code and still be able to manage all the complexity of detecting changes and sending them to our server. You can start by downloading our sample project consisting of a simple app that shows a list of users with a timestamp of their last update. You can swipe cells to delete a user and add a new one by clicking the plus button. Our app already uses Realm to store the user objects in a database. All the logic is currently in the ViewController class which we will not touch at all. The User object consists of an id, a username and an updatedDate property to store its last update. Via this API database changes are propagated to the server-side database. However, since the REST service is decoupled from a specific implementation this could be a MySQL database but it just as well could be a NoSQL database like CouchDB. Next up, we define a new protocol called Uploadable. It defines all the information we need to upload an object of that type to our endpoint. Thanks to Swift’s Codable protocol our definition is super easy. Since we now know how we want our interface to look like we need to implement our SyncService class. We create the class with its initializer to inject realm as a dependency and to define the synced model types. The handleUpdate implementation is quite simple. It calls our method for uploading new, updated or deleted objects to the remote server. We use the same method for uploading new objects and updating existing objects because for both of them we need to send the whole JSON representation of our model to the server. The only difference will be the API endpoint and the HTTP Method used, therefore we pass a boolean property update to the upload method. Ok, this code speaks for itself. We define all the properties needed to perform the network request, like the HTTP method, endpoint and body data. Finally, we call a performRequest method that handles the actual network request. We can see that we used the PUT method now and changed the API endpoint to include the object’s id. Finally, our object has a new updatedDate. Wow, that was easy. Our SyncService class does all the magic for us. It detects changes in the database and it performs the network requests for us. It does all of that without touching our existing logic code in the ViewController. To make a second model automatically sync, we only need it to conform to our Uploadable protocol and add it to the array of synced model types. Thanks to Swift 4’s Codable addition we were able to create a JSON representation of our models without writing code. If our JSON API wraps multiple models in one parent model we can do that easily: We just don’t add the child model to the modelTypes array. That means our sync service doesn’t observe the database for this child model at all, but if the parents model changes we sync the whole parent object with its child objects. You can download the full source code of the sample project containing all the changes from here. Unlike Realm’s Mobile Platform which enforces Realm also on the server-side, the REST service is not tied to any specific database implementation. We can choose MySQL but we could just as well choose Firebase or Cloudkit. That prevents a vendor lock-in in the future, keeping us flexibel. Finally, we see that our idea of a Database-Driven Architecture makes our code cleaner and easier to read. In the current version, our only real dependency is Realm and we can work with it in whatever way we want. Since CoreData and SQLite can also offer you notifications when data changed we can implement the same feature for them, but it’s just a little bit more effort.